Anti-apartheid leader Nelson Mandela was expected to visit Miami in June 1990, four months after being released from a South African prison. 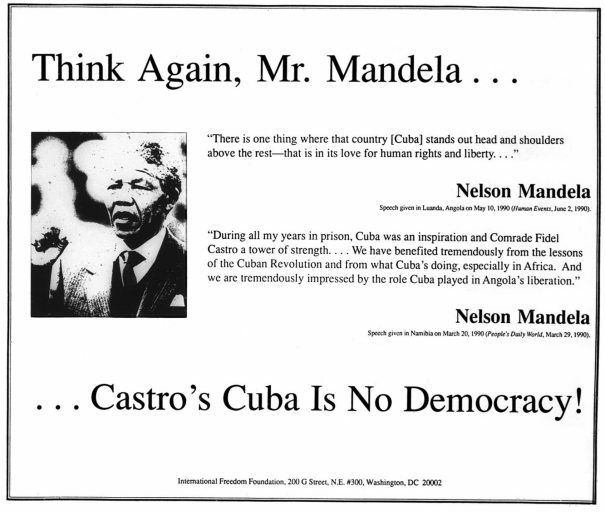 Miami made plans for a proclamation and a key to the city, but after Mandela acknowledged support for Fidel Castro, Moammar Gadhafi and Yasser Arafat during a TV interview, commissioners rescinded the official welcome. Five Cuban-American mayors went on to sign a letter criticizing Mandela’s comments. 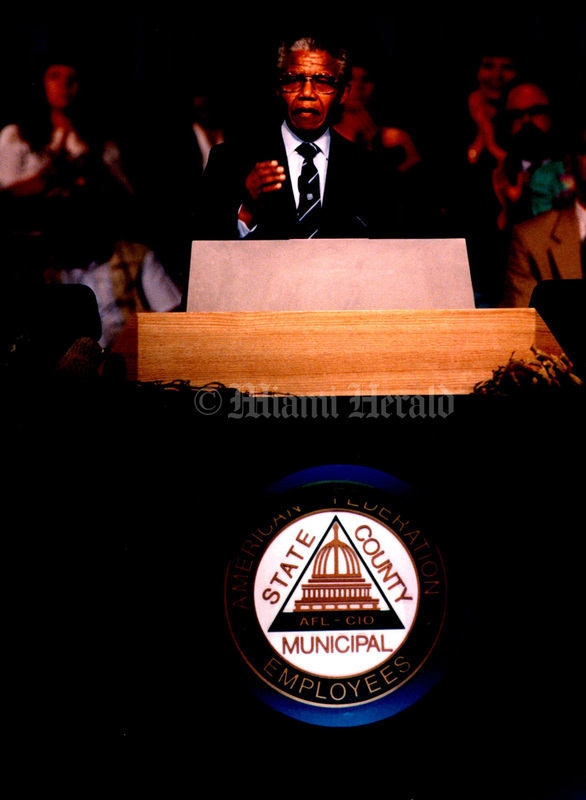 Miami-Dade County Commissioner Xavier Suarez, then Miami’s first Cuban-American mayor, had spearheaded the opposition to an official Mandela proclamation. 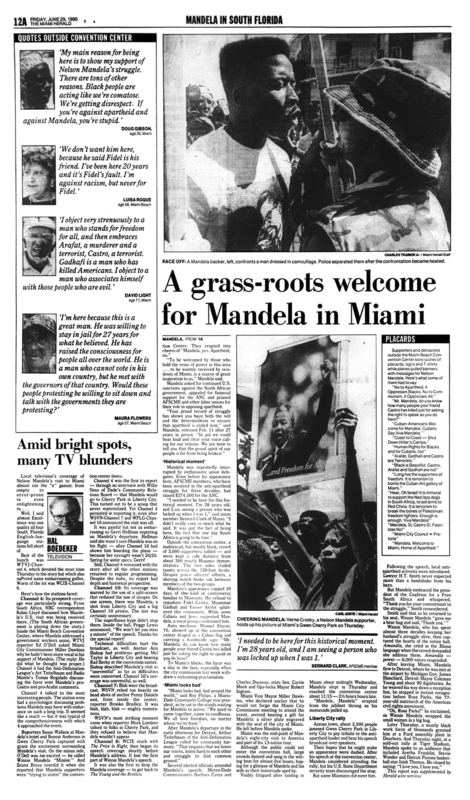 For days local black leaders warned the Miami City Commission that African Americans would call for a boycott if Mandela didn’t receive the proclamation and the key to the city. 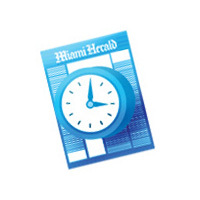 When nothing came of that appeal, the National Bar Association, an organization of black lawyers, announced on July 17 it wouldn’t hold its 1993 convention in Miami. 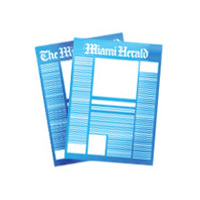 Others — including the ACLU, which took its business to Hollywood — followed the lawyers’ example. 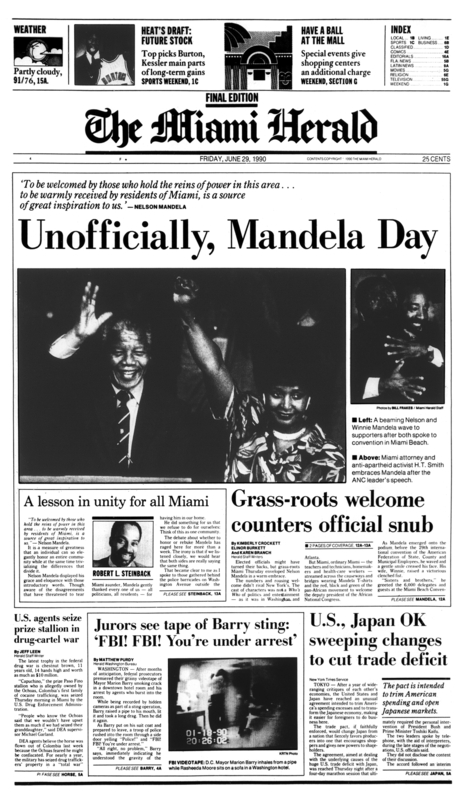 By the time Boycott Miami ended, on May 12, 1992, apologies had been extended and proclamations issued. More important, boycott organizers had proven a point: Miami’s African-American community was an economic and political force that could not be ignored or disrespected. 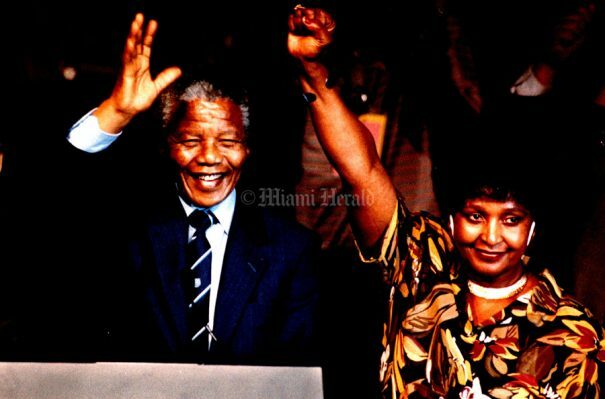 6/28/1990: A beaming Nelson and Winnie Mandela wave to supporters after they both spoke to convention in Miami Beach. 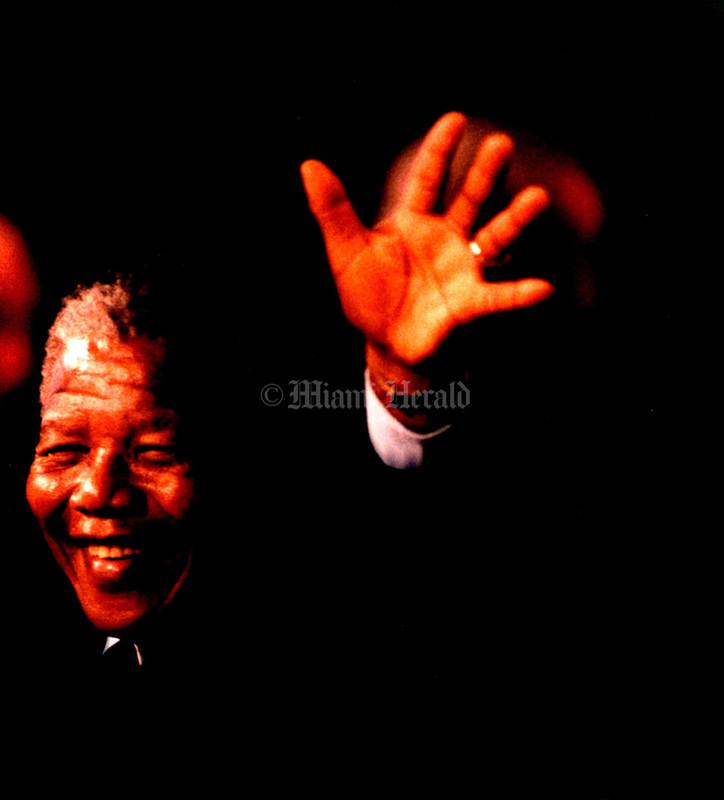 6/28/1990: Nelson Mandela speaks to crowd in Miami. 6/28/1990, C.W.Griffin/Miami Herald: Mandela visits Miami.